I need to test lots of electronic parts for contaminants. How can I improve efficiency to get the NVR test done faster? Choose a microbalance with a fast settling time. Make sure it is installed on a dedicated weighing table to reduce vibrations. This will help it to settle even more quickly. XPR microbalances help make weighing processes more efficient with an easy-access weighing chamber and, with the addition of a SmartSens infrared sensor, the draft shield doors can be opened and closed with the wave of a hand. How can I make sure my SOP is followed? 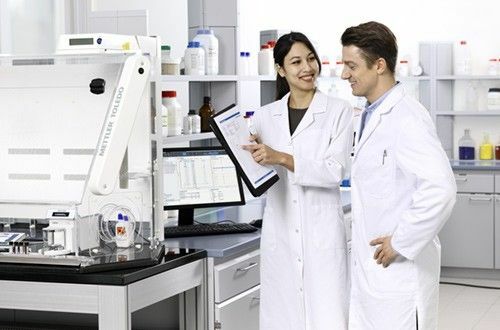 Connect your METTLER TOLEDO microbalance to LabX laboratory software. The NVR test can be implemented in LabX according to your SOP. When the application is run, LabX provides step by step user guidance on the balance. Each step requires verification by the user so you can be sure your SOP is followed precisely. You benefit from fully tracked samples, automatic data handling, customized reports and increased productivity. What balance do I need to use to follow ASTM E1235? Each standard may have slightly different requirements. For example, ASTM E1235 stipulates the use of a balance with readability to 5 decimal places (0.01 mg) or better. The tare container should be at least 30 g and the process tolerance +/- 0.01 mg.
METTLER TOLEDO's global weighing standard, GWP® helps you choose the right balance to meet your application requirements. Ask your local representative for a free balance recommendation. I work in the electronic industry. How do I report the accuracy of the NVR determination? The overall accuracy of the NVR determination will be influenced by a variety of different factors. The IDEMA standards related to the components used inside disk drives specifies that the following items should be included in the results report: the precision of the balance used, the NVR from the blank solvent test and the results from all replications of the test, as well as any other factors observed during sampling and handling of equipment. It takes time to write down all the weight values and work out the results on a calculator, and it's easy to make a mistake. How can we improve this process? Manual data transcription is laborious and a major source of errors. Such errors can be entirely eliminated by connecting your balance to LabX software. LabX automatically saves all weight values securely in a centralized database and all calculations are performed automatically. Furthermore, you benefit from full SOP user guidance, customized processes and full traceability. LabX also helps you to comply with 21 CFR part 11. How shall I report measurement uncertainty of net weight? If differential weighing is performed, the two weighing steps (e.g. tare or blank weight and re-weighing of container +/- substance) are statistically independent actions. Non-volatile residue (NVR) or non-volatile matter is the soluble, suspended, or particulate material remaining following evaporation of the volatile solvent which contains the material. 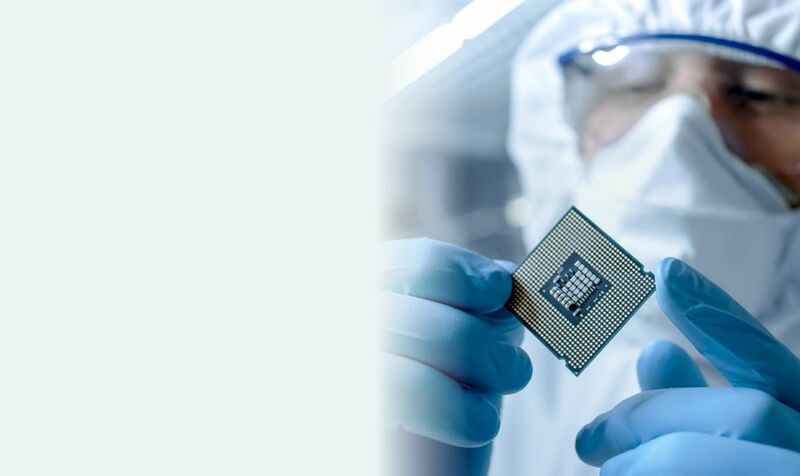 Analysis of nonvolatile content can be used to determine the purity of a solvent as well as to measure the amount of micro-contamination on the surface of an item or component (i.e. its cleanliness). NVR determination involves evaporating the organic solvent, then measuring the residue gravimetrically using a sensitive balance and carefully-tared weighing vessels. This type of analysis is fundamental in the fields of water quality and environmental testing, as well as in the chemical, pharmaceutical, medical device and electronic industries. Weighing non volatile residue is a differential weighing application. The amount of non volatile residue collected is typically very small. When the solvent is very pure, or when very little contamination is present, a large volume needs to be used to provide even a small quantity of the residue. Measurement of such small quantities requires a highly accurate balance; in many cases, the readability required is 10 or 1 µg (5-6 decimal places). The following method describes the process for determining the amount of NVR on a sample. The non-volatile residue test is a relatively straightforward procedure, but it can be time-consuming and cumbersome to carry out. The process needs to be undertaken with care in order to minimize variability in the results. Gravimetric determination of NVR content involves evaporating solvent to complete dryness. NVR levels of 0.1 to 100 ppm are typical, so in these cases, use of a microbalance is recommended. ASTM E1235: Standard Test Method for Gravimetric Determination of Nonvolatile Residue (NVR) in environmentally controlled areas used for the assembly, testing, and processing of spacecraft. This standard is used as a reference for the testing of many different types of products. ASTM D1353: Standard Method for Nonvolatile Matter in volatile solvents for use in paint, varnish, lacquer, and related products. See also ISO 3251 for determining the non-volatile matter content by mass in the paint and varnish industry. Measuring NVR content is an important quality control technique used in many industries. We understand it can be time-consuming, difficult to perform and prone to error. If you need support with NVR measurement or want advice on which balance to purchase, our team of experts is here to help. Do not hesitate to contact us for assistance. As the amount of NVR obtained is very small, a high quality microbalance is necessary to weigh the NVR to the required level of accuracy. Weight is the only measurement required in the determination of NVRs; this limits the sources of errors but makes correct sample handling essential. Using a microbalance requires patience as it can take several seconds for a microbalance to settle. This is accentuated when the NVR test involves several samples. Evaporating organic solvents poses a risk to user safety. Correct procedures should be in place to avoid possible injury from hot liquid. Use of a fume cupboard avoids potential inhalation of the vapours. There are also environmental concerns from the evaporation of solvents. It is recommended that the minimum of solvent possible is used. It is possible for particles and other sources of contamination to be inadvertently introduced from glassware or the surrounding air. A cleanroom is recommended. The procedure may be carried out in a nitrogen gas environment. 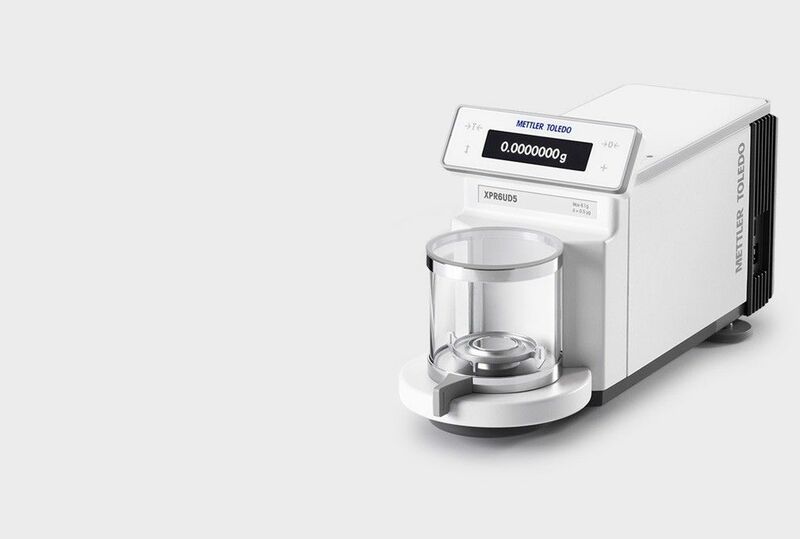 METTLER TOLEDO XPR microbalances are the perfect solution for measuring the small quantities of NVRs obtained in this test. XPR microbalances deliver outstanding weighing performance. The built-in GWP Approved quality assurance function actively monitors the balance to confirm it is safe to weigh: tests, adjustments, levelling and settings must all be in order. The green StatusLight™ indicates ‘go’ so you can be sure your results will be valid. The new draft shield provides easy access to the weighing pan; all parts are easily removed for cleaning. Cross-contamination risk is reduced thanks to the SmartSens infrared sensors which enable you to open and close the draft shield with the wave of a hand – processes are much more ergonomic too. The capacitive touchscreen allows you to “swipe” through settings and methods. The method library saves time and provides higher process security. The built-in notepad automatically records all task parameters and results, eliminating manual transcription. Results are easily transferred to a PC for safe storage and further evaluation: simply use a cable to connect the balance to the PC, which can be located outside your fume cupboard, or just use the USB port to save and transfer data. The XPR has the smallest footprint of any microbalance on the market and has the added convenience of being able to place the main terminal wherever it is most easily accessible – even outside your safety cabinet. Excellence Level microbalances are perfect for NVR analysis where measurement of extremely small quantities requires use of a highly accurate balance; in many cases, the readability required is 10 or 1 µg (5-6 decimal places). Watch video and learn what are the benefits of using METTLER TOLEDO equipment for NVR analysis. 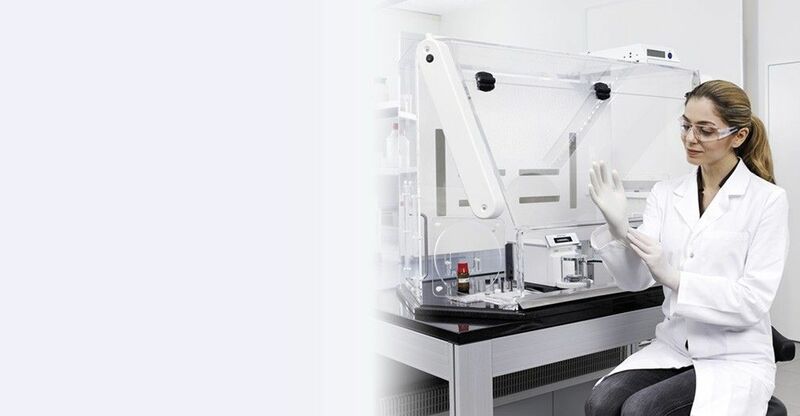 Connect your METTLER TOLEDO microbalance to LabX laboratory software for the highest level of automated data handling and process security. The NVR method is set up in LabX according to your precise needs and SOP requirements. The application is started directly from the balance touchscreen and users simply follow the onscreen instructions. LabX automatically takes care of all data and calculations, and all information is saved securely in a centralized database. You benefit from fully tracked samples, automatic data handling, customized reports and increased productivity.